CITATION: In recognition of his extensive and productive participation in the management of professional society policies and operations. 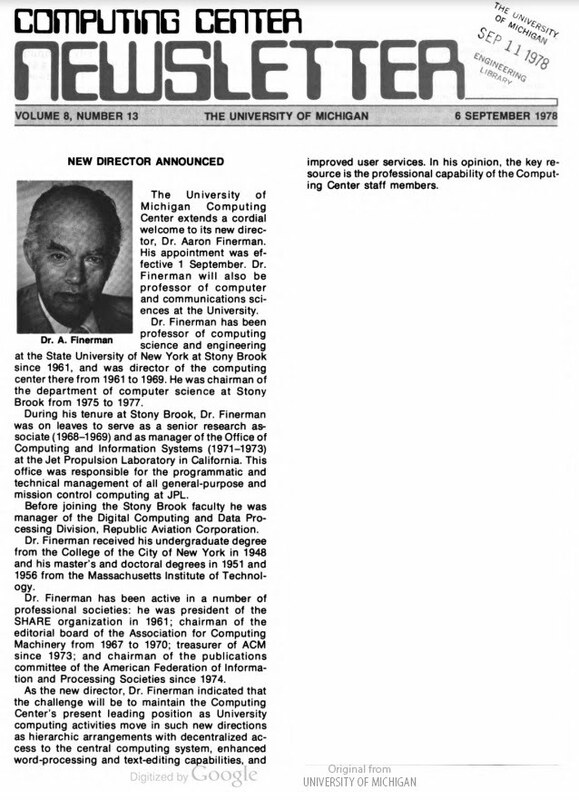 Dr. Finerman has been actively involved in the Space Program and other technical activities worldwide in addition to his years of service to such organizations such as SHARE, AFIPS, and ACM. 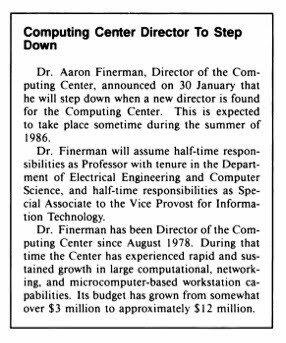 Aaron Finerman in J. 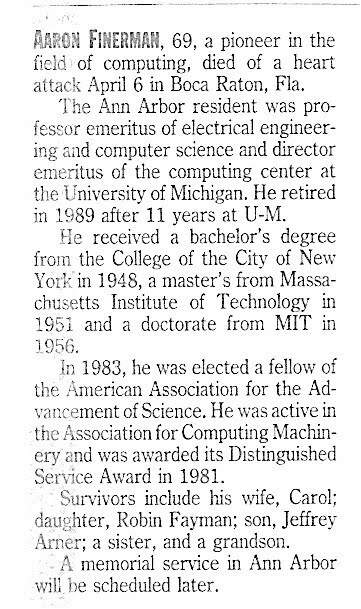 A. N. Lee's Computer Pioneers, IEEE Computer Society Press, 1995, ISBN: 0-8186-6357-X. HTML version maintained by the IEEE Computer Society. A PDF is also available. "IBM Witness Rebuts Damaging Testimony", in Computerworld, 28 May 1979, page 7.